Baja California Sur is one of the best world destinations to see whales. The Sea of Cortez (“the world’s aquarium,” as it was referred to by the famous French explorer Jacques Cousteau) and the Pacific coast of the peninsula have 80% of all marine mammals found in Mexican waters. During the winter, Mexico is not only a great place for people to escape the cold weather but for whales as well! Whales undergo seasonal migrations from higher latitudes (where they feed during the summer) heading south to the waters of Baja California to mate and give birth. 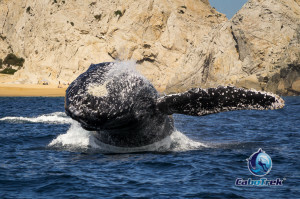 The whale watching season officially starts on 15th December with February being the peak month for sighting whales: during this period we at Cabo Trek offers daily excursions to give you a chance to see these magnificent giants in their natural environment and learn more while we share a great deal of information about Cabo San Lucas, the local environment and obviously about the whales. Not only that, the photo ID project we recently started gives more and more insights about their behaviours and migration making the 2,5 hours trips even more interesting than ever before. 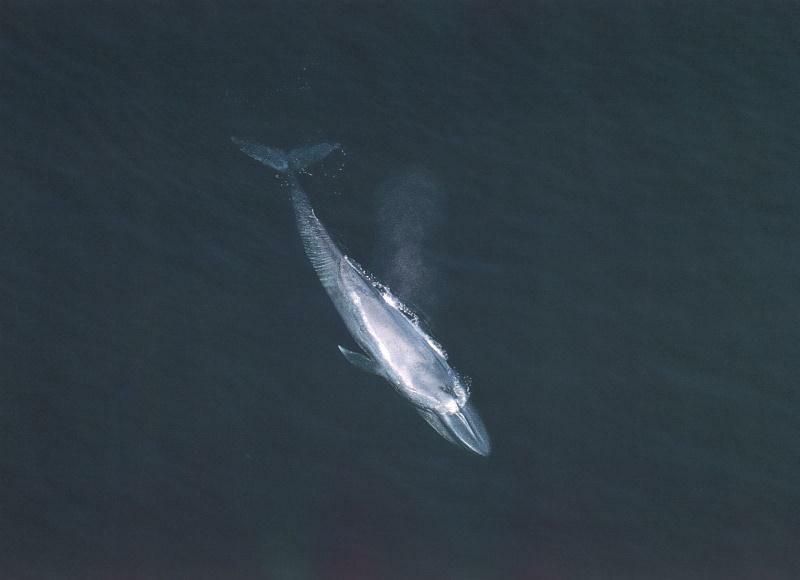 Blue whale, the largest animal that has ever lived on the planet, is one of the species found in this area. During their southward migration, they often follow a direct route along the Californian and Mexican coast. During the months of March and April, Blue whales are often sighted in the deep central basins and along its western side of the gulf of California. During their northward migration Blue whales sometimes hang out in the coastal waters of central and northern Baja California. For a short time in the months of February and March we offer the opportunity for a short “migration” from Cabo San Lucas up north all the way till Loreto for an incredible encounter with the biggest living mammal on the planet as well as to explore the Baja peninsula a bit more in depth. Gray whale is another species that appear in these waters. Their population in the North Atlantic waters have become extinct, however, it’s still possible to sight them in the North Pacific waters. They are known for their long annual migration, 15.000-20.000 km (roundtrip) every year starting in the fall, with females, in late pregnancy appearing first. By mid-February, most of them have arrived having already given birth to their calves around or within the lagoons and Magdalena Bay region. 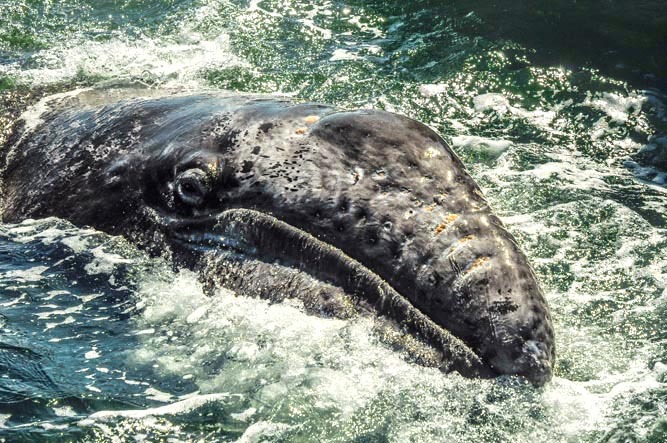 The gray whale migration back to the feeding grounds is divided in two phases: the first consists of newly pregnant females who go first to maximize feeding time, followed by adult females and males, then juveniles. The second phase consists of mothers and calves. 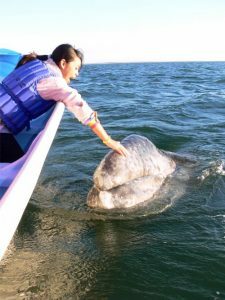 It should be noted that Mexico has recognized the importance of the breeding lagoons to the recovery of the gray whale. Mexico is the only nation to provide important habitat protection for the eastern population. The gray whale has a curious behaviour for approaching boats and people letting whale watchers pet them. Because of this temperament they are known as “friendly whales”. This results in an unique opportunity to visit an area of the beaten trek, submersed in almost untouched nature, where fisherman turn into skilled whale watchers and guest are blessed with close encounters with gray whales that are to be found only along the Mexican coast. Humpback whales steal the show during the whaling season. Despite being one of four separate breeding grounds in the North Pacific, Baja is a popular destination for Humpbacks all year. Humpback whales also frequent Baja during the winter months for mating and nursery. Humpbacks are known for their frequent acrobatic behaviour and their occasional tendency to approach vessels. Male humpback whales sing to attract the female in the winter. All whales in a given population sing essentially the same song. They also coordinate changes to their song over time however there is little information about this practice. Listening to their song is one activity we offer for our guests on board. In addition, breaching, blowing, spyhopping, fluking and/or slapping head, tail and pectoral fins in the water are behaviours usually sighted every day in our tours. February is one of the best months to sight humpback whales in Cabo. Males usually remain in the area for a longer period attempting to obtain repeated mating. Their “aggressive” behaviour when competing for females are often witness by aerial activities. Females with their calves are also regularly sighted during this month. There are other species, such as fin whale, Bryde’s whale, sperm whale and dolphins that are also possible to sight in Baja California.Whale watching is very important. It not only provides great educational and social benefits but it makes an important contribution to the economy of many countries promoting further whaling education and research. 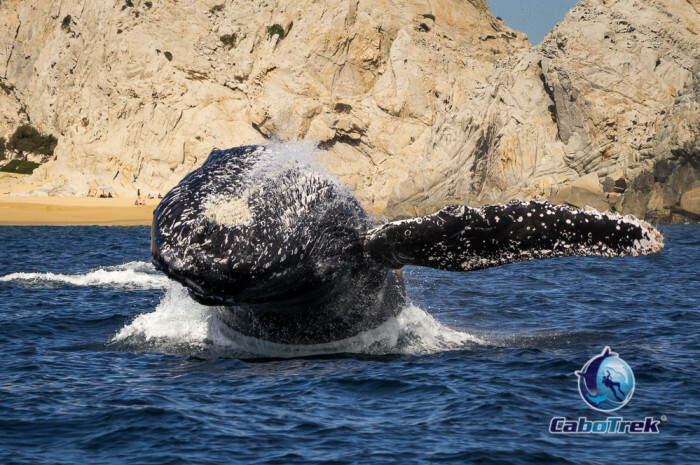 Anybody that has interest in learning more and transform a regular trip in an educational experience where science meets passion finds in Cabo Trek a responsible operator that offers the most comprehensive whale watching tours in town.